Dec 2010: We had a lot of press recently on our work on large scale reconstruction from internet photo collection (bbc,readwriteweb,engadget (alt)) and my youtube video has more than 51k views!!! Oct 2010: I am at ISMAR for the Augmented Reality Super Models Workshop where I gave talk about the use of city scale modeling in AR (slides are [[http://campar.in.tum.de/twiki/pub/Main/PierreGeorgel/fite-georgel-ismar-final-slides.pdf][here]. BTW I am looking for collaborators in this area. If you are interested please drop me an email! Sept 2010: I attended the Nvidia GPU conference to present a poster. Really cool stuff thumbs up for the 3D documentary. Sept 2010: I was at ECCV presenting my recent work on reconstruction from photo-collection. The program was really interesting. Geometry is not dead after all! June 2010: I am co-organizing the IEEE Motion workshop this year. It will be held in Hawaii! Please visit WMVC's website and submit a paper. June 2010: We had a great demo at CVPR in SF! We will presenting this work at ECCV! 4/15 : I am submission chair for the ECCV Workshop on Computer Vision on GPU (CVGPU). Check out the website here. 2/22 : I am a post-doc at UNC if you want to reach me georgel_ at _cs.unc.edu or 001-919-962-1752 ! 12/11 : I am back from Utah. Nice winter vision meeting! I presented my work related to discrepancy check at the SCI (University of Utah). You can find the handout here. 10/29 : If you are looking to integrated fiducial in tracker based on SURF, I have a solution for you I worked with Florian Schweiger begin_of_the_skype_highlighting end_of_the_skype_highlighting on this project and we have an generator online here. 10/28 : Old news, new link. I forgot to say that I worked with Adrien Bartoli on an OpenCV? implementation of DIRT. It seems the link to the archive is broken so please find the code here. 10/1 - > 10/19: I am back from there. I was nice! 9/11 : I gave a talk at VIP lab at the imperial college London. Here are the slides. 9/8 : code release for our covariance estimator please visit this link for further information. I have got married on the 10th of July. My wife and I decided to share names so now I am: Pierre Fite-Georgel! I will let you guess what PFG can stand for. I am co-chair for the 3DPVT 2010 website with Alessio Del Bue. Everything which looks fun to do! Discrepancy Check using Augmented Reality Techniques. This is my main source of funding for the past 4 years. Surf 3D I am the main contributor on this project. It is a cooperation between CAMP and LASMEA (CNRS Clermont Ferrand France). I collaborate there with Adrien Bartoli and Julien Peyras. We work on surface reconstruction, image registration, image navigation. This project is project by the German DAAD and the French Egide as a PROCOPE program. This program allows to travel between Munich and Clermont. I am trying to go there as often as I can. If you are interested in a project with the LASMEA please contact me! 2000-2002 2-years diploma of general sciences at the university of La Rochelle (ULR) in 2000 on the atlantic coast of France. I studied Maths and conputer sciences. 2002-2005 Entered the École Normale Supérieure (ENS) in Paris to study Mathématics and Computer Sciences, to learn research by research. 2005 Obtention of Master in applied mathematics, computer vision and machine learning at the École Normale Supérieure (ENS) in Cachan. 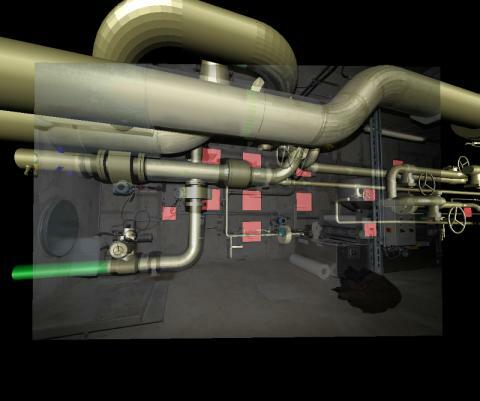 Hagen Kaiser : Software engineer project entitled Implementation of a 3D Visualization System for an Augmented CAD Software. Bernard Ziesl : Master thesis co-supervised with the Institut for Media Technology of Prof. Steinbach, the thesis is finished but the title stays undisclosed because of a paper submission. Carlos Acero from VIBOT master program (Universite Bourgogne – Universitat de Girona – Heriot Watt University) for a master thesis on Estimation of Camera’s Intrinsic Parameters using a Combination of Geometric and Photometric Information. Pierre Schroeder : He developed the back bone of the augmented reality software we work on. He did his SEP with me entitled Design of an Augmented Reality Software for Discrepancy Inspection. After 3 years together he is doing his master thesis with Adrien Bartoli on an exciting topic on which I try to contribute to. Sumit Paranjape : HIWI developing a method to merge different type of criteria for segmentation. Xinxing Feng : HIWI developing a tool for Automatic vanishing line extraction. Xavier Fernandez : Student for Ecole Centrale de Paris (ECP) short internship developing a tool for segmentation of objects in industrial images. He is now working for Smile a french company for open-source solutions. I have many opened projects so just send me an email or come directly to my office.